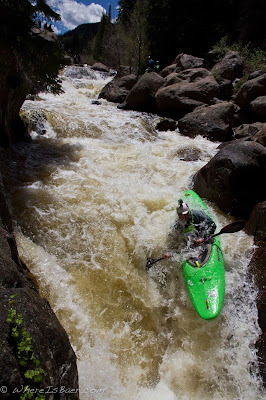 Crushing dreams, or offering a kayak hug? 8 Ball Kayak Race! 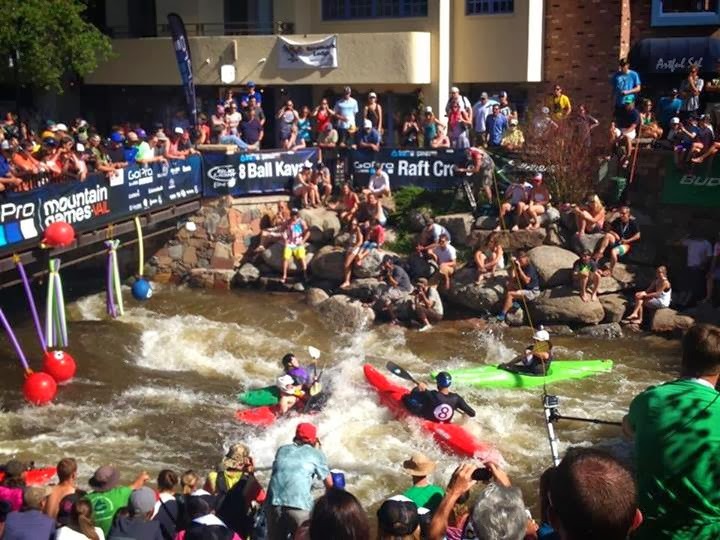 are always a heated event, a ton of world class paddlers converge on Colorado to start a competition circuit. 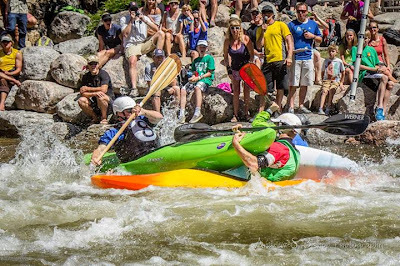 The Mountain Games holds events ranging from rock climbing, mountain biking, fly fishing, dog jumping, and a few fun kayak events, including two distinctly different races. The first is the "Steep Creek Race" held on Homestake Creek just outside of Red Cliff CO. The course is rather short, less then a half mile, but is full of offset ledges and manky mandatory lines. was unintentionally created for me. 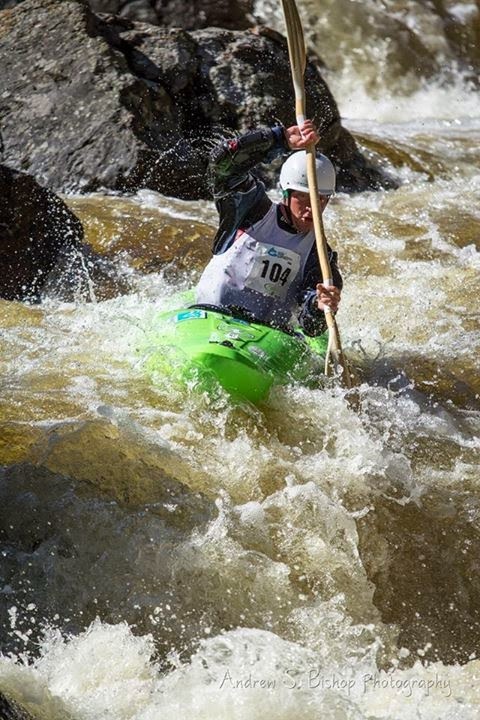 As many people know I can't take kayak racing too seriously, partially because I'm just not good at it. I can take the 8 Ball race seriously, it is the most haphazard, fastest person usually doesn't win, pure chaos event I have gotten to participate in. 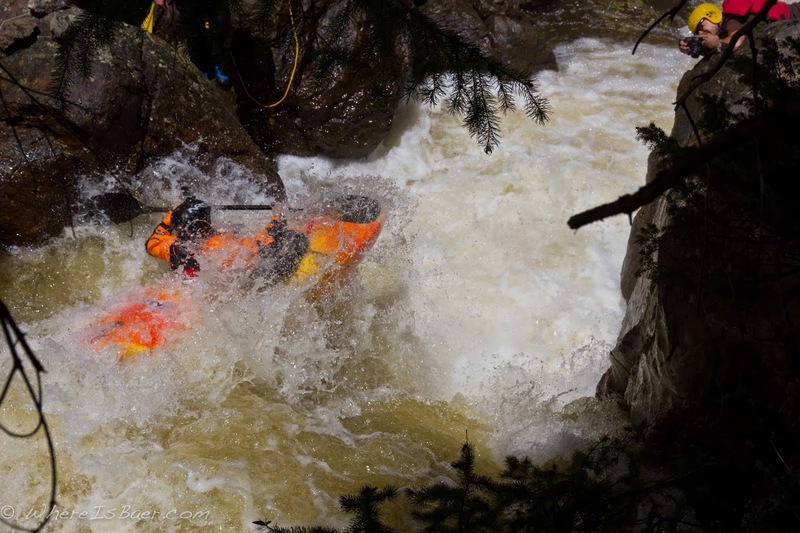 The 8 Ball race pits 4-8 kayakers boater cross style down an easy class 2 stretch, the catch is the 8 Balls, me and a hand full of other kayakers robed in black waiting in the eddies to charge out and drastically change the outcome of the race. I like to think about it as the American Gladiator version of mass start kayaking. Take no prisoners and do not allow any heat to finish without some serious destruction. Needless to say this is a crowd favorite and the banks are lined deep with spectators cheering for every bone crush impact. 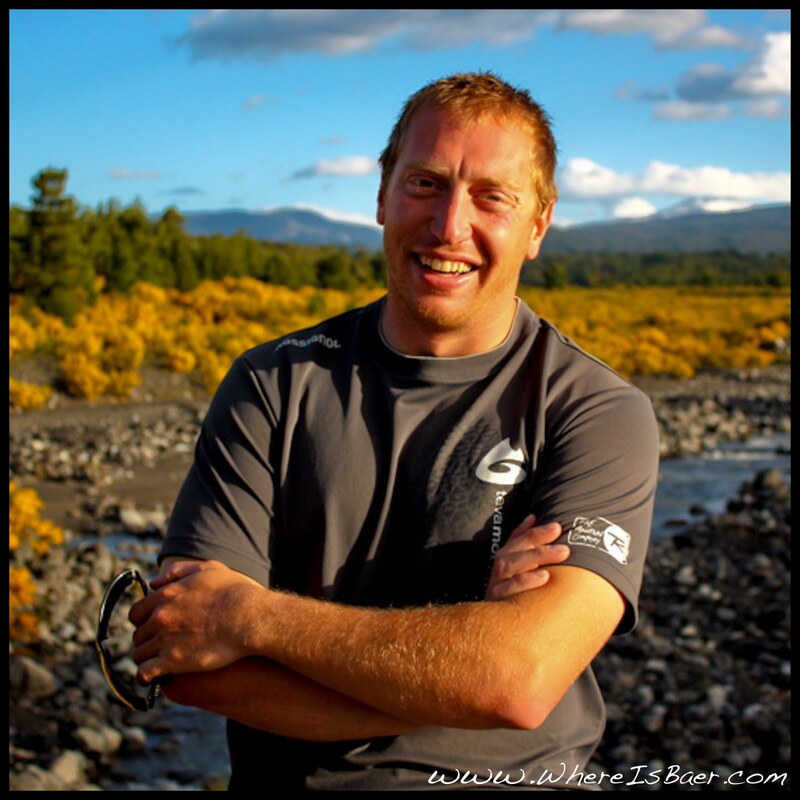 CO Race Season 2013 from Chris Baer on Vimeo. Welcome to the Coliseum of Carnage, 8 Ball destruction derby! is anther impromptu event that I have taken the reins on over the years. For lack of any planning the race is held as a mass start. Any craft is acceptable, no judges, no timers, no prizes, pure laughing and bragging rights, all to be celebrated in a Prom theme party to follow the race. 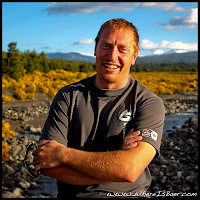 This year I was stood up by my 11 year old paddling partner and made the last minute change to share a two person kayak with long time friend and original raft guide instructor Tom Zimmer. It only took a couple seconds on water to realize that Tom and I were going to dominate. 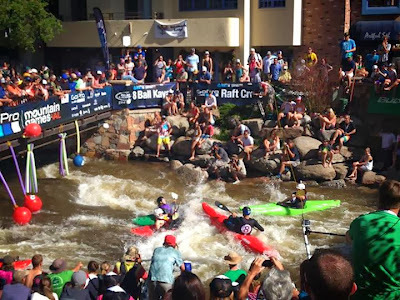 Passing boat after boat through Pine Creek rapid proper we cruised out to the front of the pack and had a couple supper fun candid conversations while blasting through the numbers section and arriving at the finish line in first place.